Well-done McDonalds. Only if it tasted as good as it looked. 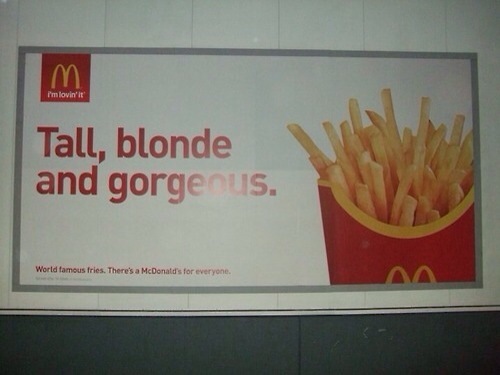 Blonde, tall and gorgeous McDonalds ad. Newspaper Ad Looking for a Dragon Hunter!